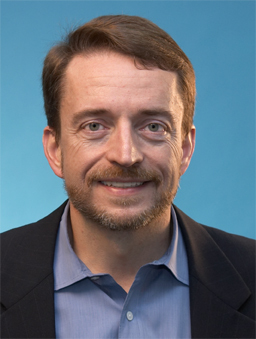 EMC is recruiting Pat Gelsinger, Intel's top chip man, to head its storage product operations. According to a WSJ report and others, 48-year-old Gelsinger, SVP and general manager for Intel's Digital Enterprise Group, will have his departure for EMC announced today. He has a Silicon Valley home which he will keep and will buy a another house in Massachussetts where EMC is headquartered. David Donatelli previously headed up EMC's Information Storage Division, which recently launched the latest generation Symmetrix product, but he abruptly departed in April for HP, in Silicon Valley, being recruited to run its entire server, storage and networking business. EMC invoked a non-compete clause in his contract and started a legal case to stop this. A California court ruled that Donatelli would not work on storage matters at HP for a year. Donatelli's resignation left a hole at EMC that was filled in an interim appointment by executive VP Frank Hauck who is responsible for the storage division, as well as his day job running global marketing and customer quality. It is assumed that Gelsinger becomes an EVP and will step into Donatelli's shoes, also heading up some software units. It is reported that EVP Howard Elias has been promoted to run EMC's services business which includes maintenance, consulting and backup storage. There has also been a rumour that Cisco and EMC are setting up a joint venture services company to focus on an integrated Cisco server and networking and EMC storage product. At Intel Gelsinger was a senior VP, not an executive VP, and was the company's first chief technology officer. He would have had a major role in the recent Nehalem launch and follow on Lynnfield chips. His responsibilities over PC, server and graphics chips will be assumed by Sean Maloney, Intel's chief sales and marketing officer, also an EVP. The chip engineering operations will be run by another Intel EVP, David Perlmutter, who is the general manager of Intel's mobility group. EMC boss Joe Tucci was apparently impressed with Gelsinger as he got to know him during an EMC transition from using IBM processing chips to Intel ones. He has said that he intends to retire in three years' time, at age 65, and that Gelsinger, Elias and chief financial officer David Goulden are all potential candidates to succeed him.